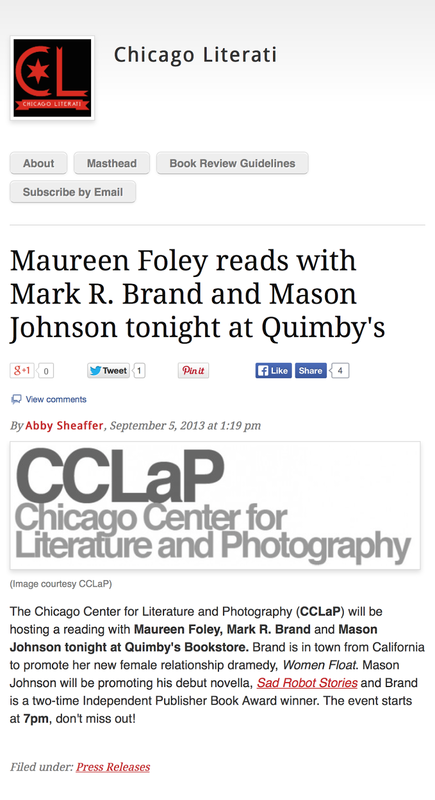 Mark R. Brand: Reading with Maureen Foley and Mason Johnson at Quimby's. Reading with Maureen Foley and Mason Johnson at Quimby's. I had a terrific time reading with Maureen Foley and Mason Johnson at Quimby's tonight.